The production crew has been hard at work over the past several months preparing for the upcoming “Snow Guardian” documentary. Over the next few months we will be sharing the stories of the ski patrollers in the Rocky Mountains as they keep outdoor adventurers safe. We will also show the science behind snow and avalanche research. 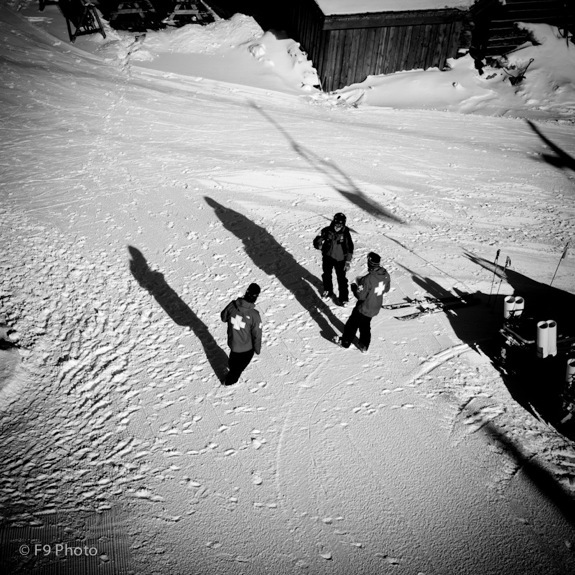 Every winter morning these dedicated professionals start each day at 4AM with a trek up dangerous mountain terrain in order to set off explosives for avalanche control. And that is just the beginning of their day. We will be taking you along with us on a journey into the lives of these heroes. You won’t be disappointed with the spectacular visual storytelling from our expert crew. Leading the crew is Producer/Director Carson Garner from F9Photo who had the inspiration to create this visual film. The pre production crew has been hard at work in the Rocky Mountains scouting locations for shots, working with sponsors for gear and support, writing/updating the script and the production calendar, and establishing solid relationships with the rescue ski patrol and avalanche science experts. So far things are looking great and everything is on track. It’s incredible what can be accomplished when the right people come together with a shared vision to create an inspirational story. As the crew gets ready to go into full production, photographer James Douglas made the long drive from New York City to Montana with Carson to help drive out film equipment and get all the gear setup, tested and ready for the rest of the crew. Speaking of gear, we have some incredible equipment for the crew. The majority of the film will be shot on Canon DSLRs and a Panasonic AF-100. We will also be shooting with several GoPro HD helmet cameras and two Red MX cameras. In addition, there will be several Canon L series lenses including the 300mm 2.8, 17mm Tilt Shift, 100mm Macro, 16-35mm 2.8, 24mm 1.4, and 85mm 1.2. For support rigs and sliders, we will be using the Kessler Pocket Jib, Kessler Cineslider, 2 CamBlocks, and a ton of other home made engineering contraptions including a mountain zip line to film the explosive avalanche control. 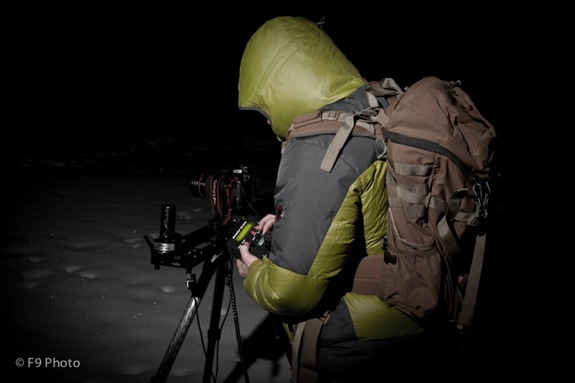 However, gear is only a small component of putting together a powerful documentary. The goal of the documentary is to create a visual work of art. Therefore the crew is made up of exception filmmakers to tell this fascinating story. Just to name of few of the talented crew members, Khalid Mohtaseb and Jonathan Bregel from Next Level Pictures will be First Unit DPs/Cameramen. Khalid and Jon are two incredible filmmakers from New York City who have travelled the world and know how to create incredible shots. Pulitzer Prize Winner Vincent Laforet is scheduled to film aerial shots. Chris Patterson who was the DP of the snow scenes in “Inception” has offered to ski/camera expertise to help chase Ski Patrollers in the high mountains of Montana. 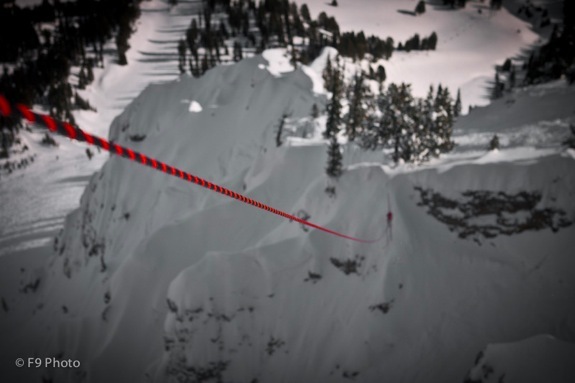 Warren Miller Productions cinematographer Colin Witherill had joined the crew for even more high mountain experience. Former Combat Cameraman Tyler Ginter will film timelapse and Second Unit/Behind the Scenes. Chris Dowsett will also be filming Behind the Scenes and recently worked with Vincent to film the Behind the Scenes for the Famous Footwear Neighborhood Ad. Jim Geduldick will be chief of Post Production, Editing, and the primary Red Cameraman. Jason Diamond‘s production company MBS Production is providing RED camera support. Aaron Caughran from camBLOCK will provide his expert knowledge on timelapse. The list goes on and you can check out the entire crew here. So we have an extremely talented crew, some epic gear, and an incredible story to tell. This is the power of collaborative filmmaking! Please check back in as we will be writing regular blog posts throughout the entire filmmaking process. If you have any questions or would like to learn more about the film please contact us. We would like to thank all of our incredible sponsors to include Kessler Crane, G-Tech, Oakley, GoPro, CamBlock,, Pelican, Adobe, SmallHD, ViewFactor and the list is growing every day. If you would like to sponsor the film or send a donation please click here. Lastly, You can get daily updates by following @F9photo on Twitter.